On December 19, 1942, Lieutenant Russel D. Lynn, 24, was piloting a P-47B, (Ser. No. 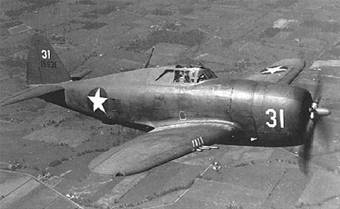 41-5960), with a squadron of other P-47s over the area of Wilbraham, Massachusetts, when his aircraft suddenly developed engine trouble. After directing the aircraft away from populated areas, he bailed out at 2,500 feet. The P-47 crashed and exploded just in from Stony Hill Road, about a quarter mile from the intersection of Old Boston Road, not far from the Ludlow town line. Lieutenant Lynn landed safely on Burbank Road and made his way to the scene of the crash where he was met by members of the North Wilbraham Fire Department and the state police. 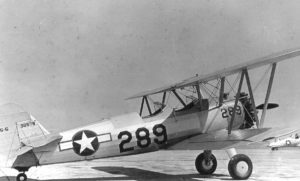 Lt. Lynn was assigned to the 342nd Fighter Squadron based at Westover Field in Chicopee, Massachusetts. At about 11;30 a.m. on December 17, 1942, Lieutenant Raymond Murby, 23, of New York City, was piloting a P-47 Thunderbolt over central Massachusetts when the engine suddenly lost all power. 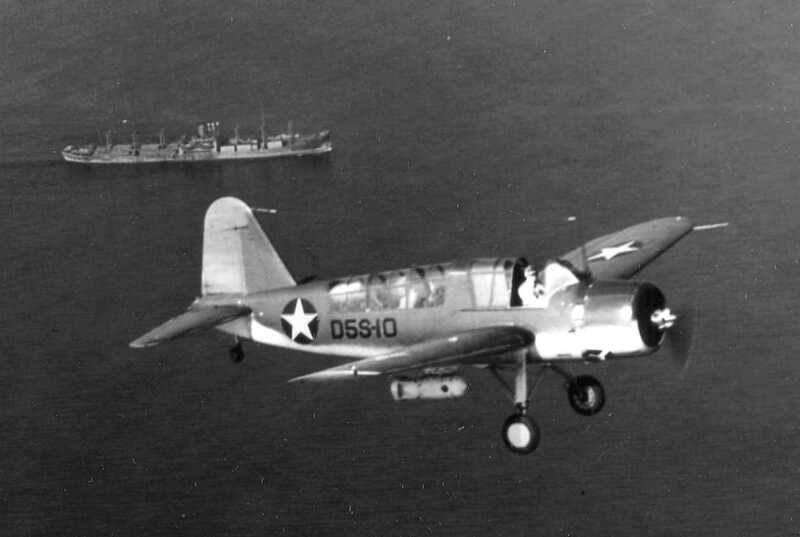 The aircraft was observed by a ground witness to go into a steep dive, with Lt. Murby fighting to regain control. When he was almost to the ground, Murby was able to straighten the aircraft out on an even keel, and it was seen to sail overtop of a row of homes and a barn, barely missing the roof tops. The aircraft then dropped to about 20-25 feet over the snow covered ground before it crashed into a stand of white pines at the edge of a field, shearing off both wings. When the fuselage came to rest there was no fire, and Lt. Murby was able to extricate himself despite the fact he was seriously injured. He attempted to walk toward some homes he could see through the trees, but discovered he couldn’t use his legs. There he lay until rescuers found him about a half hour later. 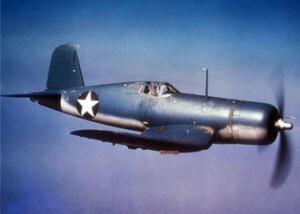 On the morning of July 14, 1944, Ensign Beeman Falwell took off from the Naval Auxiliary Air Field in Ayer in a F6F-3 Hellcat, (Bu. No. 40748), for a training flight. When he was about ten miles north-west of the field, at an altitude of 6,000 feet, he began to experience a loss of power to the engine. As the airplane began loosing altitude, the pilot began looking for a place to make an emergency landing. Then a fire erupted in the engine, and the pilot knew he would have to jump. He noted he was still over a populated area, so he decided to stay with the aircraft until it was over woodlands. At the time he left the aircraft he was at the minimum level to jump and still have an expectation that the parachute would successfully open. The parachute had just billowed open when the pilot landed in some trees sustaining injuries in the process. The aircraft crashed in a wooded are and was demolished. On the afternoon of March 7, 1943, two P-47 fighter planes from the 342nd Fighter Squadron based at Bedford Field, were conducting aerial maneuvers several thousand feet over the town of Andover. The activity was closely monitored by members of the local civil defense who were manning a plane spotting tower. 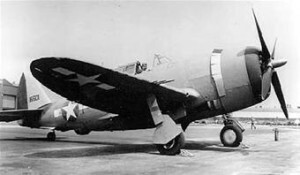 One of the P-47s, (Ser. No. 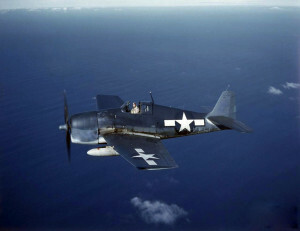 41-6444), was piloted by 2nd Lt. John R. Prindle, 23, of Erie, Pennsylvania. The other, (Ser. No. 41-6003), was piloted by another second lieutenant. At 2:25 p.m., the two aircraft collided in mid-air, with Lt. Prindle’s plane loosing a significant portion of its wing. As Prindle’s plane fell away, he bailed out and deployed his parachute, and northerly wind’s pulled him towards a large forested area. Meanwhile his plane crashed and exploded on the estate of John B. Towle on Porter Road, barely missing the main house. The resulting fire set off the live ammunition in the machine guns sending bullets flying in all directions and hindering firemen from extinguishing the blaze. The house was unoccupied at the time and there were no injuries to those on the ground. The other aircraft involved in the collision was able to safely make it back to Bedford Field. The plane spotters immediately reported the crash, and the result was perhaps the largest search and rescue effort ever mobilized by the town. Hundreds of military men, local and state officials, civil defense units, and volunteer civilians from Andover and nearby towns took part in the search to locate the missing pilot. The Red Cross supplied thousands of gallons of coffee and hundreds of pounds of food. The search lasted throughout the night, with temperatures dropping to near zero. One 15-year-old boy was reported to have frostbite. Lt. Prindle was finally located the following morning, alive and in good spirits, in a wooded area near the Boxford town line. His injuries received from the collision and bail out prevented him from walking out of the woods on his own. He’d been able to keep warm due to the fact he’d been wearing his leather and fleece flying suit. The Evening Tribune, (Lawrence, Ma. ), “Pilot Found In Wooded Area”, March 8, 1943, page 1. The Andover Townsman, “Army Flier Improves After Crash Sunday”, March 11, 1943, page 1. On January 15, 1945, Ensign Robert C. Baker, piloting an F6F-5 Hellcat, (Bu. No. 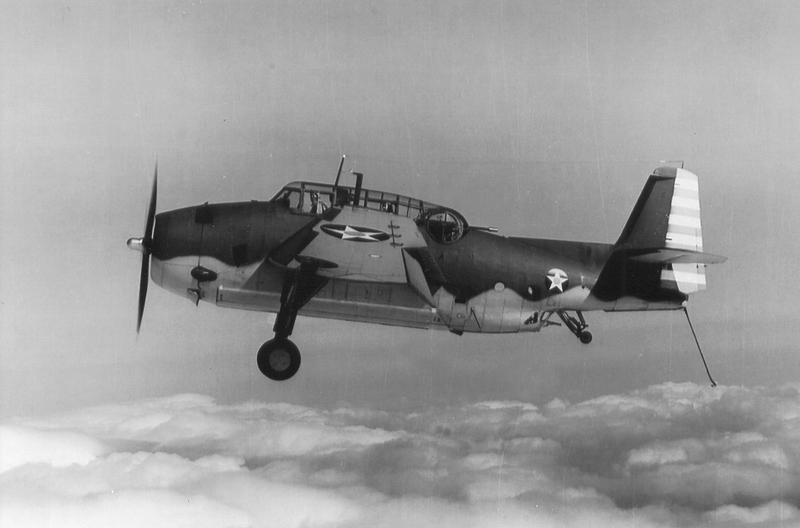 70161), took part in a gunnery training flight off Cape Cod, Massachusetts. At about 1:15 p.m. as he was returning to base and passing over the town of Chatham, the engine stopped working. Baker dropped the landing gear and aimed for an open field. As he came closer to the field he saw that there was a trench running across the middle of where he intended to set down so he intentionally overshot the area but wound up crashing into some trees lining the edge of the field. Although the aircraft suffered significant damage, Ensign Baker was not hurt. Investigators believed the engine failure was due to loss of oil pressure. Ensign baker was assigned to VF-88.